Paris, Tenn.–The annual Friends of the W.G. 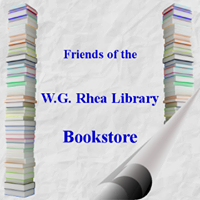 Rhea Library meeting will be held at 5 p.m. Tuesday, April 17, in the library meeting room. Officers are voted in that evening. Pizza and desserts will be served. There will 6 ($20) gift certificates to the members who attend and are the first to answer a question correctly about library practices. FOL board members are not eligible for the gift certificates.